They can work it out. 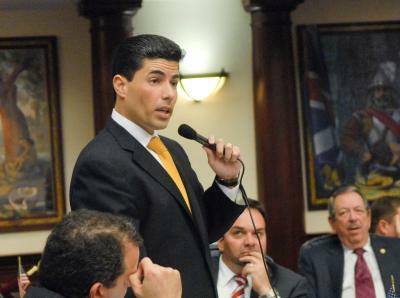 That was House Speaker Jose Oliva’s sentiment Wednesday when asked about the differences between the House and Senate versions of certificate of need legislation. The House last week passed a measure (HB 21) that would eliminate the so-called CON program altogether. Meanwhile, a Senate health care panel this week supported a scaled-back version (SB 1526) that would eliminate the regulatory program for only new hospital construction. Oliva has made a priority of eliminating the program, which involves hospitals, nursing homes and hospice providers needing state approval before building new facilities or starting new programs. The Senate health care panel also has approved a bill that would establish a drug importation program, a telehealth bill and a bill that would expand “direct primary care” arrangements to include dentists, all priorities for Oliva. Lawmakers are halfway through the 60-day legislative session. Oliva has made reducing health care costs a top priority for the session.